Charleston, South Carolina likely isn’t the first destination to come to mind when planning a winter vacation. Of course, if you’re looking for world-class skiing and other snow sports, then you’re going to need to search a bit farther north. But for those who want plenty of family-friendly activities in a charming city with mild temperatures and fantastic eats, then you certainly can’t go wrong with Charleston in the winter. Better yet, you won't have to compete with the crowds that accompany Charleston in the summer. Charleston is rich in early American history. One of its most famous buildings is easily the Old Exchange Building. Dating back to 1760, this was once the center of trade and business for Charleston and the surrounding area. Later, the building served as a prison and dungeon. For an eery tour experience, try one of Charleston's ghost tours, where the guides claim you can hear the souls of the dead still crying out from the walls of the building. 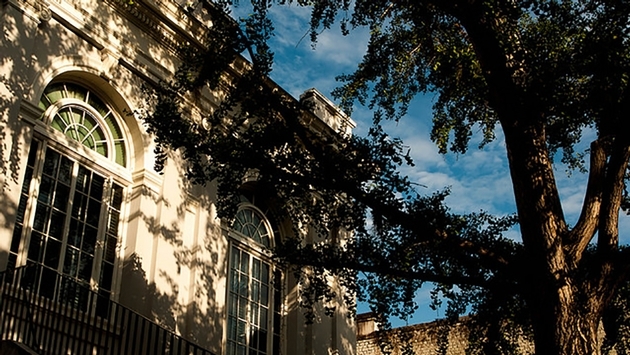 Charleston is known for its stately historic homes and plantations. They're stunning all year long, though they are perhaps at their most beautiful when elegantly lit up with Christmas decorations. Drayton Hall (one of the oldest surviving plantations) and the Nathaniel Russell House (renowned for its grand spiral staircase) are two classic stops. For more light festivities before the New Year, don't miss Charleston's annual Festival of Lights, a display of millions of holiday lights in all shapes and sizes. A holiday train, sweet shop and carousel promise family fun for all ages. Always our first stop on any visit to Charleston, the City Market is one of the U.S.'s oldest public markets. From mouthwatering food shops to hand-made souvenirs to one-of-a-kind eclectic wares, there's a little something of everything here. Even better, with a day market and night market, no matter what time you stop by, you'll find something happening at the City Market. There's no better way to get a feel for the community while supporting local artists and entrepreneurs than with a visit here. A visit to the beach doesn't have to be reserved for long summer days. With Charleston's mild weather, a quick day trip to the Isle of Palms is the perfect way to spend a sunny winter morning. Take a quick stroll along the beach, or opt for a romantic dinner at any of the top-notch restaurants open year-round. The Long Island Cafe is always a crowd favorite, sporting a hybrid between French and southern cuisine. This ultra luxurious hotel is an ideal place to stay in Charleston. At Christmas, the hotel and shops are beautifully decorated, but you can’t go wrong with a stay here no matter what the season. It’s convenient location means you’ll be right in the center of Charleston’s top stops. This colorful strip of houses is perhaps Charleston's most iconic image. Dating back to the 1700s, the old commercial district is a lovely place to snap a photo of the first place that comes to mind when most think of Charleston. Finally, no visit to Charleston is complete without a visit to Battery and White Park Gardens. The park is a lovely place for a run, or to simply stroll with a coffee in hand while enjoying the waterfront. Don't forget to check out the many grand mansions that line the area.